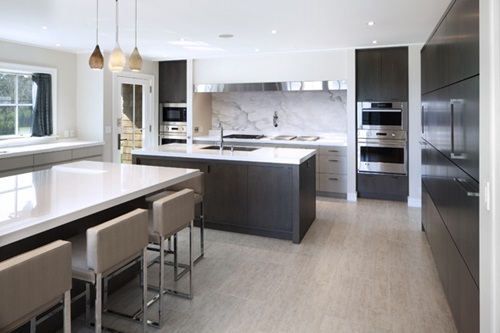 Modern kitchens have always been famous for their clean and crisp lines and the seamless glamorous look, but never before did they hit record in sophistication and style as they do now. 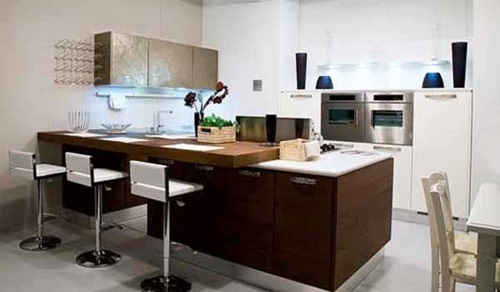 As kitchen designers incorporate latest techniques, new materials and advanced technology in their designs, modern kitchens have also become superior in functionality. 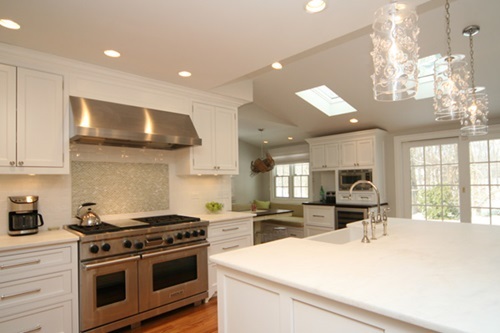 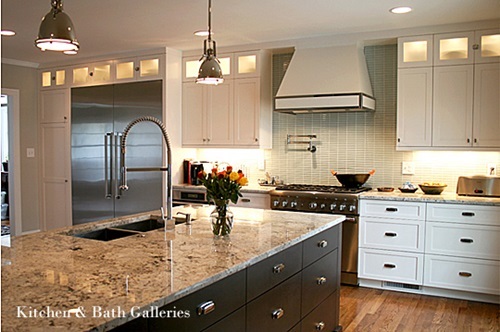 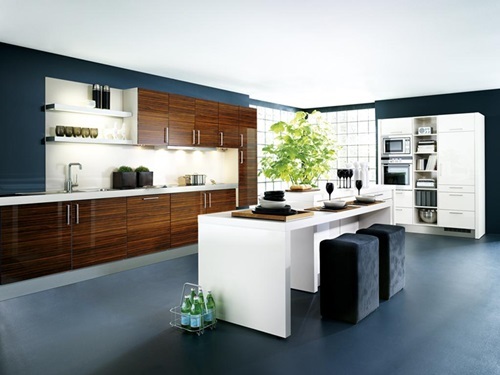 However, there are few things you must have in your cuisine in order for it to be the ideal modern kitchen. 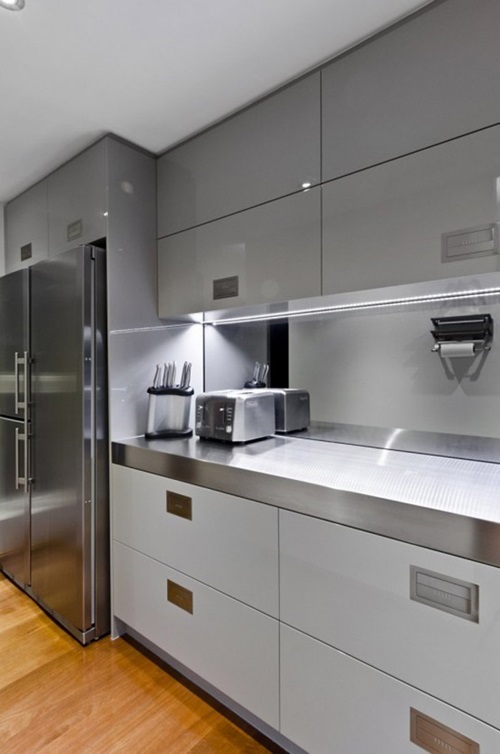 Given the fact that space should be utilized to its full potential in modern style; choose cabinets and drawers that are spacious and efficient. 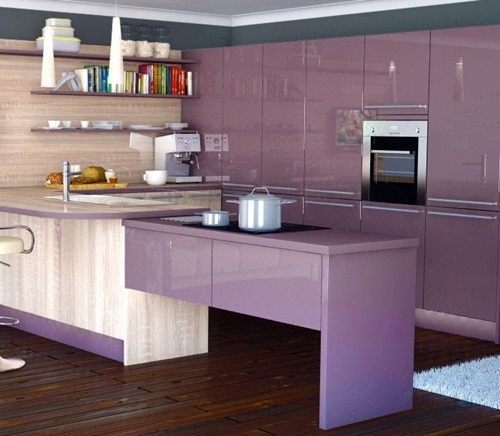 You can use them as a focal point with beautiful wood veneers, tinted glass, and plushy curved corners. 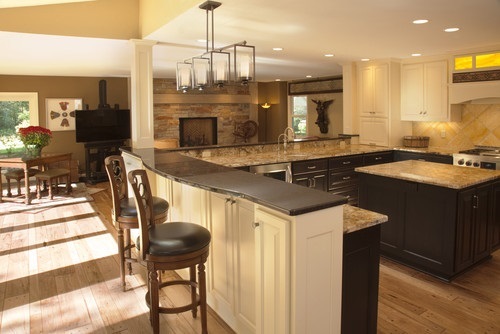 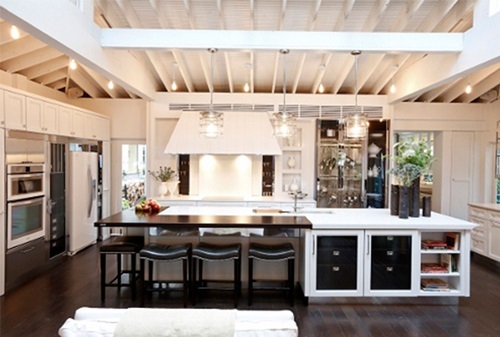 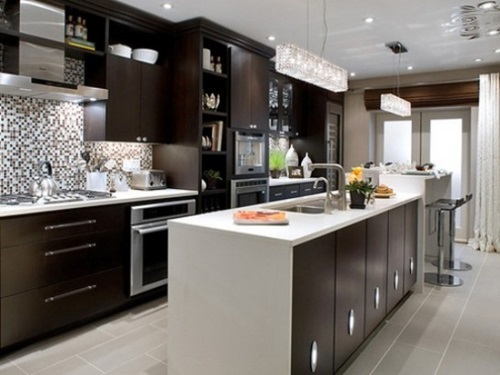 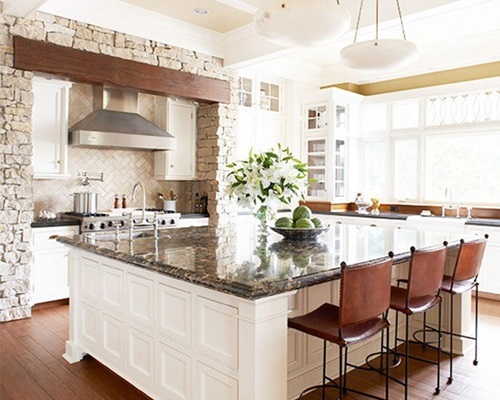 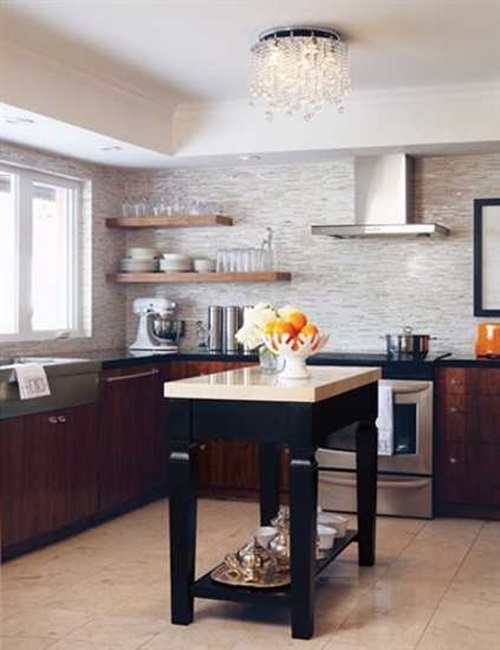 A kitchen island is your best solution to utilize the vacant space in the centre of the room. 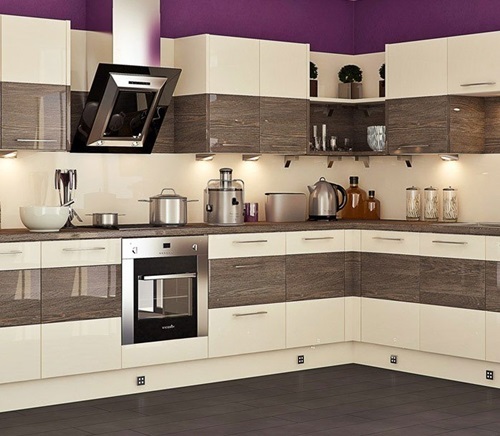 It’ll also provide you with extra surface area and storage spaces and a sumptuous look. 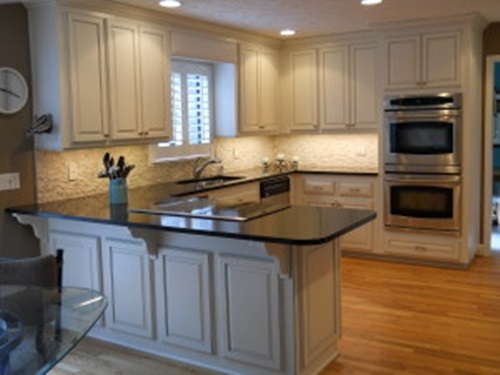 However, make sure you use the right type of material for countertops; marble, granite, glass and brushed stainless steel are all perfect choices. 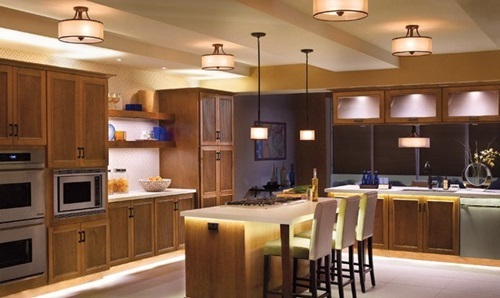 The color scheme you choose will have a drastically impact on the overall mood and ambiance. 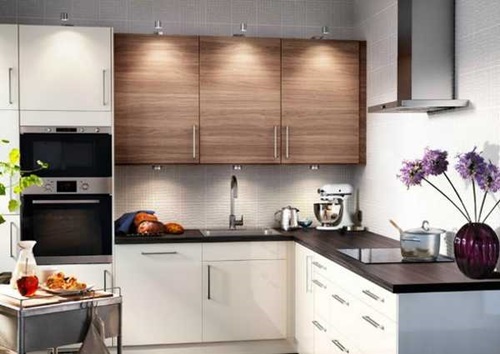 Let your imagination and creativity lead the way and don’t forget to look for inspiring ideas, tips and pictures on the internet. 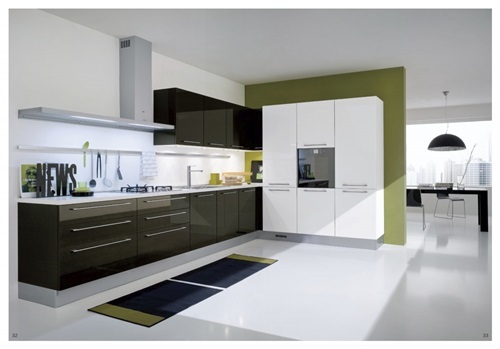 You can go with a classic monochrome or have the kitchen in vibrant and bold colors; it all depends on the statement you’d like to make in your house. 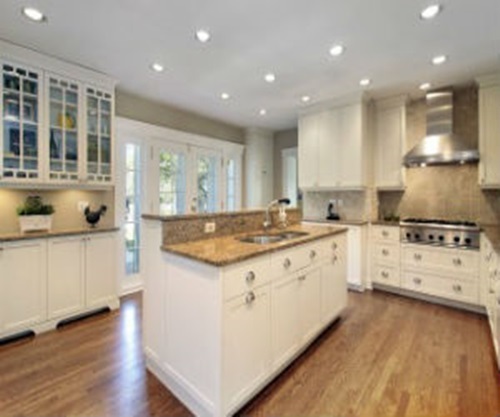 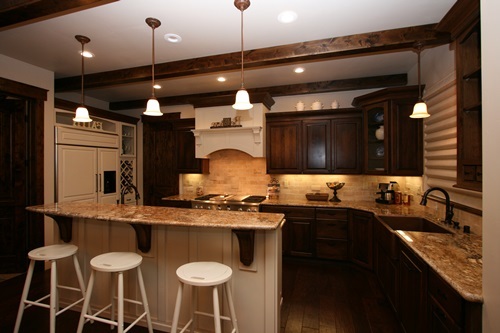 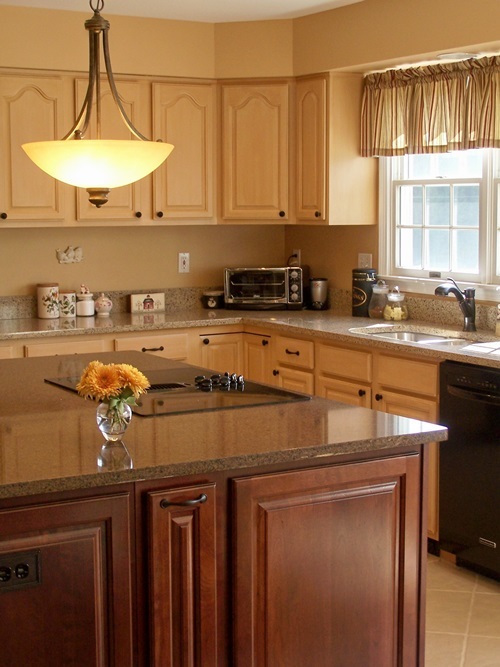 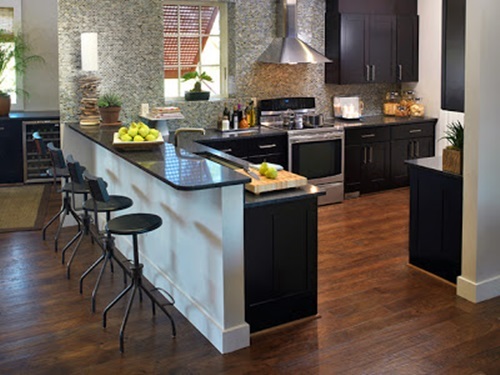 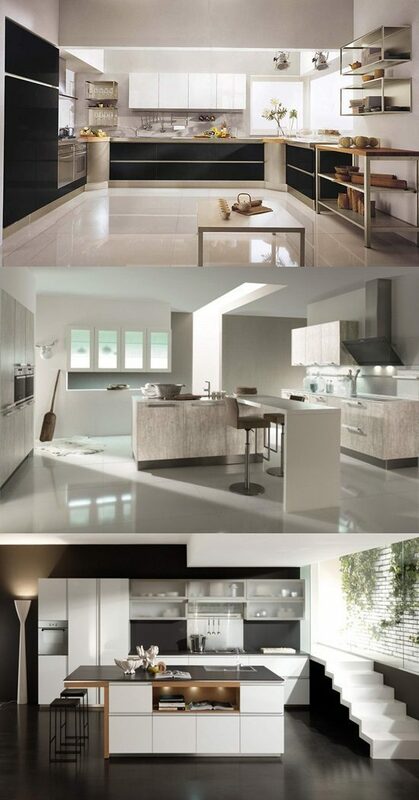 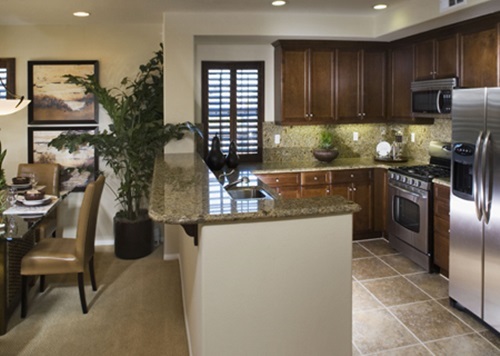 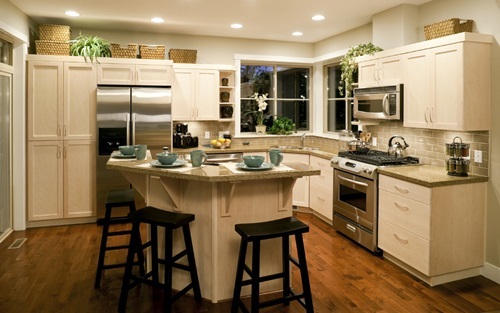 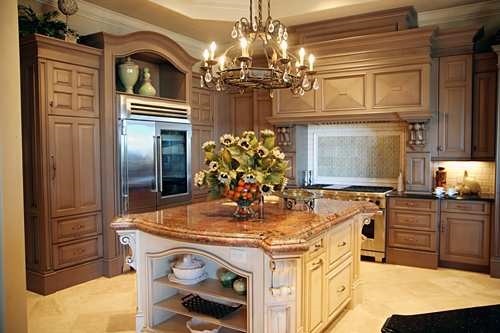 Contrasting the colors of walls and base units will lend your kitchen a vigorous atmosphere. 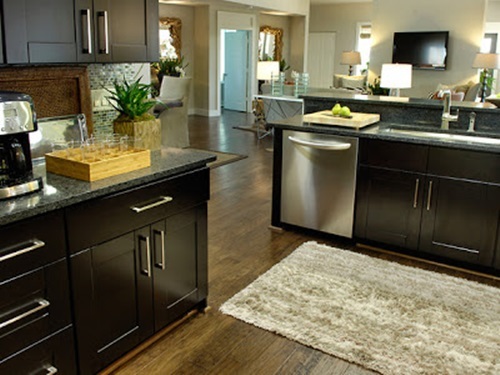 Also, try using black as an accent color as it will beautifully complement any color scheme, especially wood. 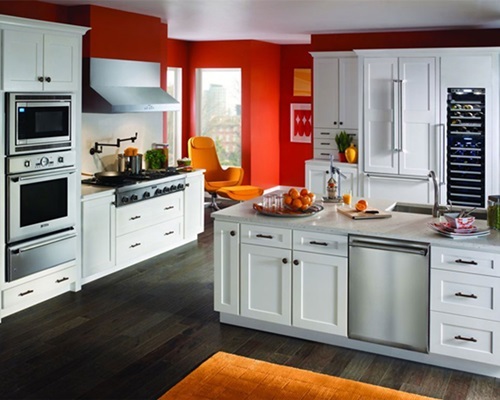 Your kitchen accessories and appliances, including utensils, refrigerator, oven, tap, and blenders, are what ties the whole color scheme together. 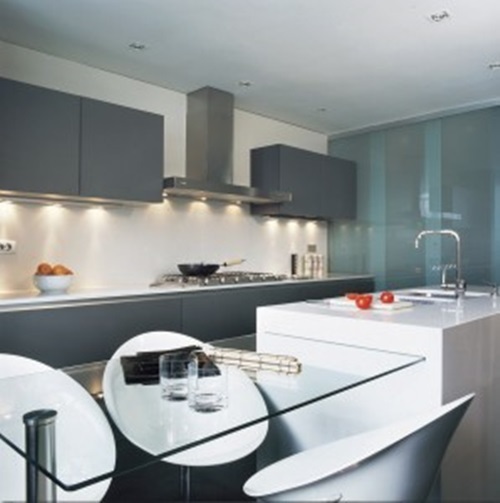 Stainless steel, with its radiant reflective characteristics, is your best solution. 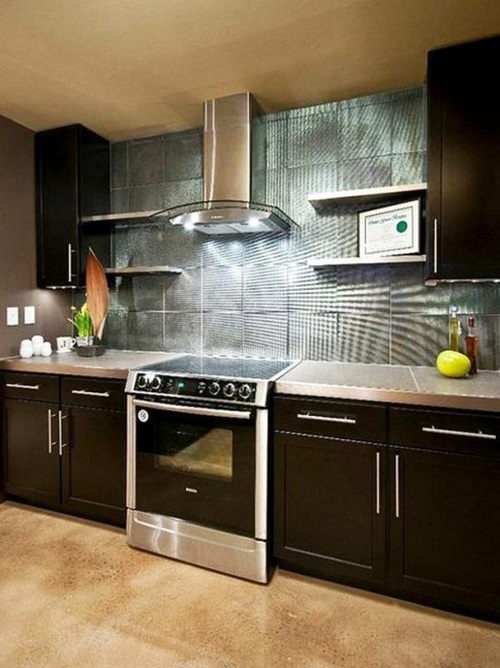 There are wide variety of accessories that combine black and stainless steel together in their designs which will make your kitchen shine gracefully.